Jan. 9, 2017, 1:12 p.m.
“I look at Axios as a rolling R&D lab,” Jim VandeHei, chairman and CEO of the new venture, said in a Q&A. By Shan Wang @shansquared Jan. 9, 2017, 1:12 p.m.
Axios, the new media venture from Politico’s co-founders, has spent the past several months sharing bits and pieces of information on the topics it would cover, what it would look like, and what would set it apart from Politico. On Monday, Axios began to tease its full site — which launches on January 18 — with the debut of newsletters that focus on the main areas Axios plans to cover, business, healthcare, and technology (with politics and media mixed into all three topics). 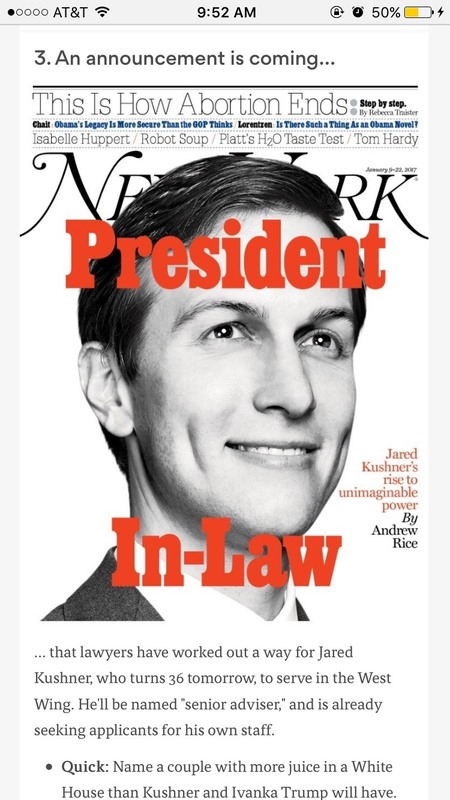 Mike Allen‘s AM newsletter, for instance, broke the news this morning that Donald Trump’s son-in-law Jared Kushner, was poised to be named Senior Advisor to the President. But don’t call it Politico 2.0: While the newsletter strategy and the planned high-end subscriptions component ($10,000 or more!) of the business sound familiar, Axios is also trying to build more effective user experiences for readers and shake up advertising by offering shorter, more customizable formats to advertisers. VandeHei and I spoke Monday morning following the launch of the newsletters. Our conversation about what the full site will offer, how Axios is crafting its news for other platforms, and where VandeHei hopes the business side of things will develop is below, lightly edited for length and clarity, is below. Shan Wang: What is your pitch to newsletter writers and other types of staffers you’re hiring, why they should leave their current positions — is the talking point flexibility in editorial decision making, is it the salary Axios can offer them, how are you attracting new talent? Jim VandeHei: We’re looking for a unique type of reporter, or even someone who isn’t a reporter but could become a reporter. And that type of person has to be someone who has expertise and passion for the specific topic that they’re covering. Ideally they have a following because of that expertise, and ideally they have a strong desire to be part of a startup to rethink how we deliver and monetize news. That pitch alone is a pretty big differentiator because for 80, even 90 percent of people, that’s probably not what they want. Either you’re comfortable doing what you’re doing now, or you don’t have that expertise because you like taking a more general approach or a more traditional approach. You know what I do and what Mike [Allen] does or what a [Dan] Primack does. We’re looking for people who really do have that expertise and following, and if you’d want to band together with likeminded people who care passionately about journalism and about making journalism a real business. When it comes to economics, the fact that we do offer every single employee equity in the company, some people find that attractive. Equity, by my experience, seems to matter more to those on the business side than the journalistic side, but there are many entrepreneurial journalists who find that very appealing. We also try to be competitive. We are a startup and we try to be wise with the money we have invested in the company. But we understand we need to offer something competitive when we target the type of talent we want to bring to the door. Wang: What are the areas of expertise you’re still hiring for? What other high-profile newsletters driven by big names are you adding to the slate, for instance? VandeHei: To be clear the newsletters are just one piece of the puzzle. In terms of topics that we’re very interested in, we definitely want to do a newsletter that bridges Silicon Valley and Washington and explains the two worlds to each other. We’re definitely very interested in the collision of business and technology and politics around other issues like energy — anything that has national and global import. Topics like that I’m sure we’ll attack through newsletters. We think of it less as, what’s the newsletter going to be, and more through a general content strategy. And that content strategy is the collision and convergence of business, technology, politics, and media trends. Unlike a decade a go when we started Politico, the need back then was there just wasn’t urgency, voice, and expertise in political coverage, and over the next decade everybody jumped in with some variant of that. Fast forward to today, the fundamental challenge is with more good information than ever before shooting at you from a thousand different directions, what you need is true expertise to help you navigate and narrate what matters most in those areas. And then help people understand what happens when those issues collide, because that’s where all the action is. That’s where all the new businesses are going to be born. And that’s where all the big policies are going to flow from. Technology and politics on top of the changing way that people are consuming and disseminating information, which changes profoundly month-to-month. Wang: And you’re interested in hiring lots of non-journalists to help write and guide coverage in those areas. VandeHei: It’s easier to find someone with an expertise and a following and teach them how to write the way we want to write, than it is to take a generalist and somehow train or convince them to have expertise or to have passion for a subject. We’re definitely going to be at points somewhat unorthodox in our hiring. We’ve already hired a few. Kim Hart, who’s running our tech coverage, used to be at Politico as a lead tech writer and then went into the private sector, then worked at the FCC running communications. I love that careers trajectory, because she’s seen it from the media side, the corporate side, and the government side. We hired Sara Fischer from the Washington Post. She’d been on the business side at The New York Times and then the editorial side at the Post. Her job is to cover media trends. She’s seen it from both sides. And that will make a big difference when it comes to helping readers, both influential readers and people who are really passionate about serious news, understand the rapid changes that are taking place and how people consume and disseminate information. Wang: What’s the publishing plan when the site launches on the 18th? You already have the newsletters, which you’re teasing now. VandeHei: On the evening of January 18, the site will go live. And what you’ll see is a very mobile-focused platform where you can get coverage of essential news broken out by healthcare, business, and technology. There will be essentially a main feed. What you’ll experience that’s different is that every item — whether it’s something that we’re smartly narrating or whether it’s an exclusive scoop that we have — every item is summarized in a screen, something the size of your iPhone screen. It’s written in a way so that if that’s all you read, that’s enough, and you’ll walk away satisfied. But each one of those items is shareable and save-able on its own with one touch on that screen. If you choose to read more, instead of tricking you into going into another page, more just drops down in that same stream. 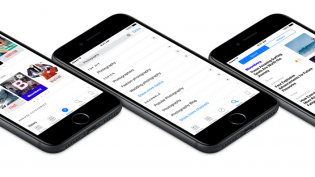 How do we make that reader experience as smooth and efficient as possible? You do that by not worrying about pageviews, by not worrying about little tricks that you do to get people to click, but by making that information essential. And hopefully we’ll create an addiction to that way of consuming content. VandeHei: There’s no doubt there’s an influencer play here. Because we have people with true subject matter expertise, they’re able to command the attention of the most important readers in each space. But that’s somewhat self-limiting. We also want to make sure we reach the universe of serious news readers, anyone who on a daily basis consumes serious news. We think that’s roughly 15 to 20 percent of the adult population, and a lot of those people you’ll reach on your platform, but most you’ll reach on Facebook, Apple News, or Snapchat. 15 percent of the population could potentially be tens of millions of people. That to me is a pretty big outer band of people who care about news, who I hope are consuming Axios content. At the same time, the way you reach those people is by being essential and useful and being something people have to reckon with at the top of each of those areas. You have the twin objectives there. We want to be aggressive in getting our content into those different news ecosystems. Rule number one is we don’t ever want to dumb it down. Rule number two is we want to make sure that you have to understand that a smart serious news consumer on Snapchat consumes differently on Axios.com. On Snapchat it has to be short, graphical, video heavy — but doesn’t have to be dumb. You can keep it smart but still get a big audience. On Facebook we’ll be trying to lock down the enormous number of people on Facebook who are serious news consumers who might not necessarily be subscribing to the newsletter but should be reading Axios. Basically, there’s a way to use Facebook Instant Articles to create a dynamic slide-and-glide way of consuming news that’s a lot more like Snapchat Discover than it would look like Axios.com. We think that would resonate with the Facebook demographic of news consumers. It’s a new experience for them and it’s a new opportunity for advertisers to reach Facebook audiences with native advertising. That’ll be launching with the full site. We’ll be live on Apple News on day one also. Apple News, which I think you guys wrote about, is starting to have real success in driving traffic to publishers. They were kind enough to scramble and get us on their platform for day one. We still have the We the People project we were doing that’s now been folded into Axios. That is a daily partnership with NowThis News where we help narrate what’s happening with Trump in Washington and the results on that have been awesome, and we’ll continue doing that at least in short term. Hopefully over time, we’re able to lock down as much of that audience of serious news consumers as possible. By delivering content they trust, find enjoyable, and illuminating. Wang: How far along is the subscription prong of the business, and how is that fitting in with what you’re rolling out now? 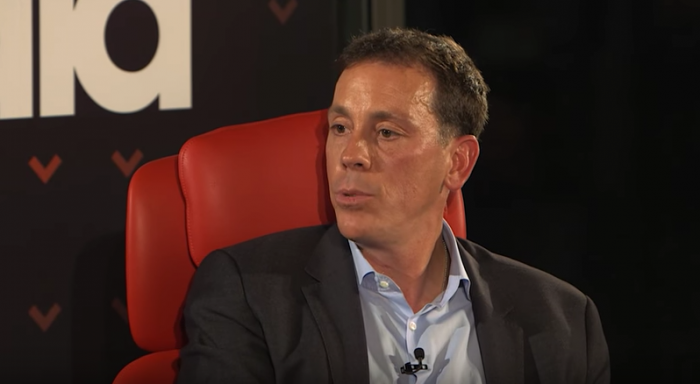 VandeHei: Phase one, which we consider now the first couple months of our existence, is all about having a public platform, getting people hooked on our content, and getting people familiar and hopefully really trusting and enjoying Axios content and Axios the platform. We’ve hired a team. It’s no secret we plan to add a high-level subscription dimension to that later this year. While we’re building the platform, while we’re learning from our data, we’re also working on plans to roll out very specific subscription products later in the year. In the beginning of the year. In the beginning we have to have all of our focus on building the brand and getting people to trust it and respect it and get hooked on it. Wang: Just to clarify the subscriptions will be a whole separate line of offerings on top of the free-to-access Axios.com? 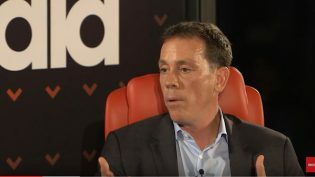 VandeHei: Yes, I’m not a believer in getting people hooked and throwing up a low dollar paywall. I don’t think that’s the best, the most efficient, most profitable route for us. You’re much better off when you’re building out your subscription services and looking at a high end subscription, and having that be additive. Wang: What’s the breakdown you’re looking at for each of the different revenue streams — ads versus events versus the high-end subscriptions? VandeHei: For the first three to six months we’ve lined up more than 10 launch sponsors, and it’s all advertising and events. 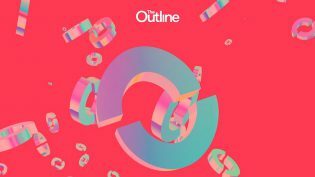 We have a new twist on native advertising that allows in a much more concise and efficient way to do native advertising — it’s much easier to change on the fly, so an advertiser can match the voice of the publication but also have more agility in adjusting it, and use data to adjust their message on the fly. I look at Axios as a rolling R&D lab. We have theories, some strong views based on our experience at Politico and other places about what works. But we want to keep testing new ideas, because more of the same isn’t what people are looking for right now or is the path to prosperity. Wang: So you don’t think we’ve reached some sort of breaking point with native advertising or that advertising and news just aren’t compatible on the web? There won’t be some crazy day when there’s an ad-free, free-to-access Axios.com that’s supported by the subscription and events side of the business? VandeHei: Hell no. You need to have all three. Our collective personal views are that you need to be aggressive in owning a specific audience, and selling sponsorships and ads and events against that. And that you also need to have a scalable subscription side business because you’ve created value in the content you’re producing. If you can do those things, you can create a really fast-growing media company. If you just bet on subscriptions you’re limiting yourself, and if you just bet on advertising, you’re limiting yourself and exposing yourself to too much risk. There’s always going to be a robust future for advertising. Right now our personal views are that banner ads, popup ads, and these expansive native advertising packages that people are putting together are not the most effective device for reaching consumers, and I don’t think they’re the best device for advertisers. We’re not trying to jam you on pageviews. Wang: Where will Axios be by January 2018? What else will have launched? What else is in place? VandeHei: I’m always hesitant to predict anything. But I can tell you we hope that Axios is seen as an innovative and respected source of news and information ad that we’ve built a successful new way for advertisers to reach a very interested audience. And that we’ve by then launched our subscription side business. If we can achieve that by January 2018, I would consider that success. POSTED Jan. 9, 2017, 1:12 p.m.
Wang, Shan. "Axios launches newsletters, gearing up toward a full-fledged site just in time for the Trump administration." Nieman Journalism Lab. Nieman Foundation for Journalism at Harvard, 9 Jan. 2017. Web. 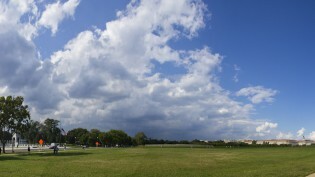 23 Apr. 2019. Wang, Shan. "Axios launches newsletters, gearing up toward a full-fledged site just in time for the Trump administration." Nieman Journalism Lab. Last modified January 9, 2017. Accessed April 23, 2019. https://www.niemanlab.org/2017/01/axios-launches-newsletters-gearing-up-toward-a-full-fledged-site-just-in-time-for-the-trump-administration/.